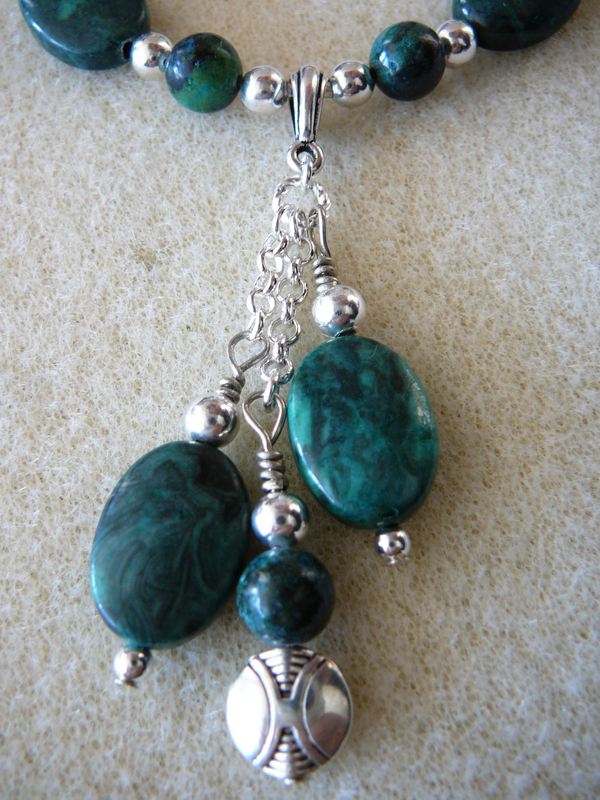 Deep green malachite jasper with silver. And an eye-catching triple drop! 04 May	This entry was published on May 4, 2013 at 9:05 pm. It’s filed under Necklaces, Uncategorized and tagged green, necklace, silver. Bookmark the permalink. Follow any comments here with the RSS feed for this post.